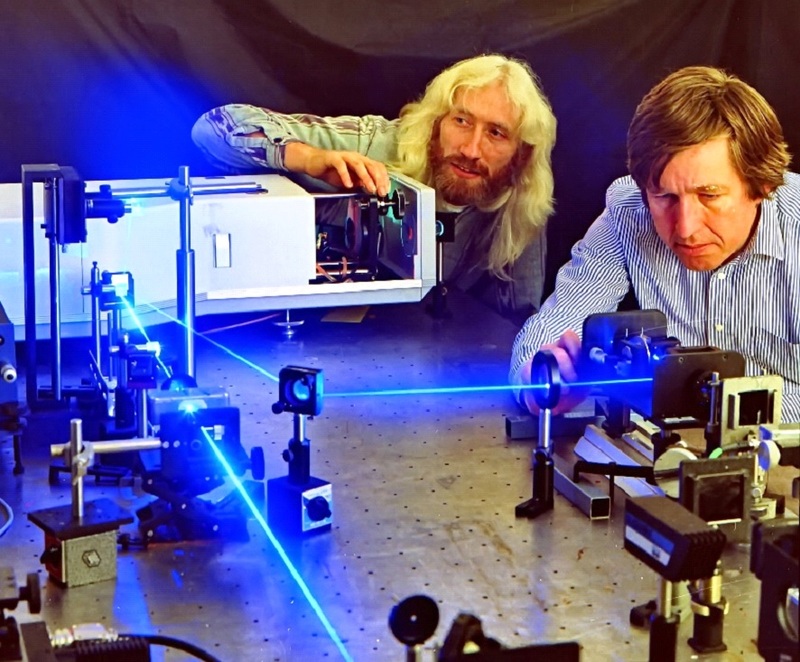 The photograph shows eminent Malvern laser physicists John Rarity and Paul Tapster in their laboratory. 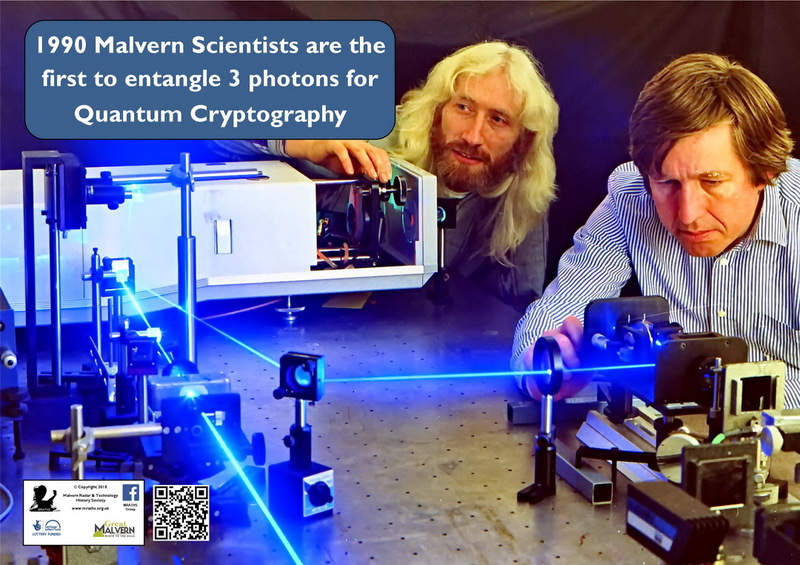 The photograph was taken to illustrate their work on photon entanglement. 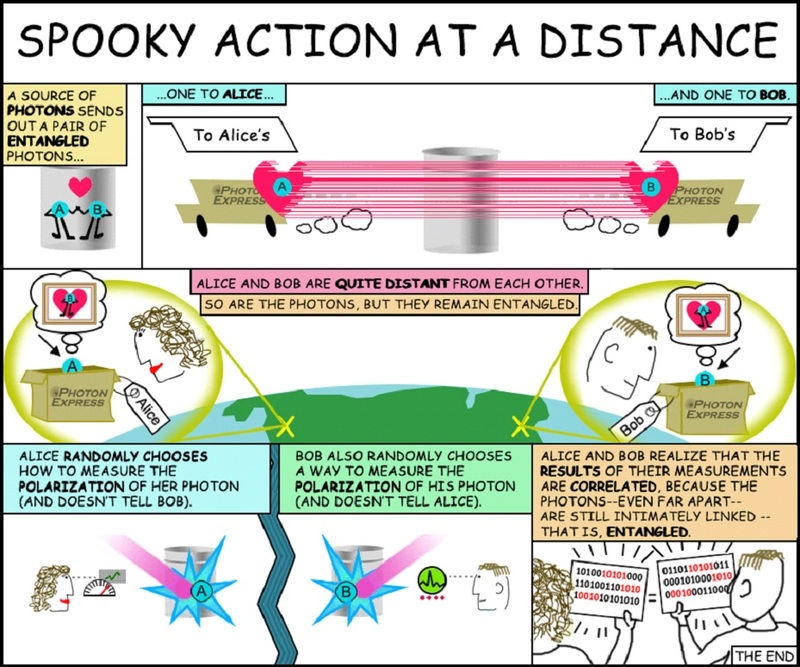 This is a phenomenon in which pairs of photons (the tiny bundles of energy that carry visible light as well as radio waves, x-rays, infrared and ultraviolet energy etc.) have some of their properties ‘locked’ to the other one of the pair. Thus, if we measure the properties of one, we can instantaneously deduce the properties of the other one in the pair. In the photograph, the intense blue laser beam is being shone through a special crystal and some of the photons will be split into two red light photons. The energy carried by the two red photons adds up to the energy brought in by the blue light photon. These pairs of red-light photons will be entangled. Entangled photons can be used to transmit the ‘keys’ used to encrypt information for secure communications. John and Paul and their team went on to hold several world records for the distance over which these ‘keys’ could be sent. Strangely, many of these records were set with a pub at least at one end of the experiment!